Look out for cheap Alton Towers tickets from just £33 an adult/£27.50 a child when you book online in advance. We’re always searching for Alton Towers deals & Tips To Beat the Queues and we often find that the best savings available are for those that can plan ahead. As this online ticket promotion saves you more than £20pp if you book in advance, we think it offers value for money. TO BOOK TICKETS GO TO Alton Towers Tickets from £33pp. Check out our round up of valid 2 for 1 vouchers for Alton Towers for those looking for cheap ticket options. Worth being aware that your voucher must be used against on-the-gate ticket prices rather than online discounted prices so consider the actual savings being made per person. Vouchers cannot be used in conjunction with any other deal or discount. More information available at Alton Towers 2 for 1 Vouchers. Look out for this Alton Towers ticket PLUS meal deal offer from Attractiontix from £39.25 an adult/£31.25 a child. Choose from a Burger Kitchen or Fried Chicken Co meal deal plus drink with offers savings of up to 41% off package gate prices. Your theme park ticket is also included within this deal that secures you entry to the rides & attractions at Alton Towers including CBeebies Land. TO BOOK GO TO Alton Tower Ticket & Meal Deal Offer. For those that managed to pick up half price ticket vouchers from Carex, it’s good to know that these remain valid for use until 31 May 2018. This voucher is particularly useful for groups that have an odd number in their party that can be used against full price on-the-gate price tickets at your selected Merlin Attractions. More information is available at Carex Half Price Alton Towers Vouchers. Look out for this FREE second day at the park offer when you book overnight accommodation either within the Alton Towers Resort or hotel accommodation close-by. Stay on site and you can also pick up Early Ride Time that offers you 30 minute access to selected rides & attractions before the park opens to the public. Resort accommodation includes the Splash Landings Hotel & Waterpark, Alton Towers Hotel & Spa or Enchanted Village Lodges and comes with a great free parking perk too. Promotions vary throughout the season so worth taking a look for your next visit. TO BOOK GO TO Alton Towers Short Breaks. Book online and in advance to pick up Alton Towers tickets from just £33pp, (£27.50 a child). 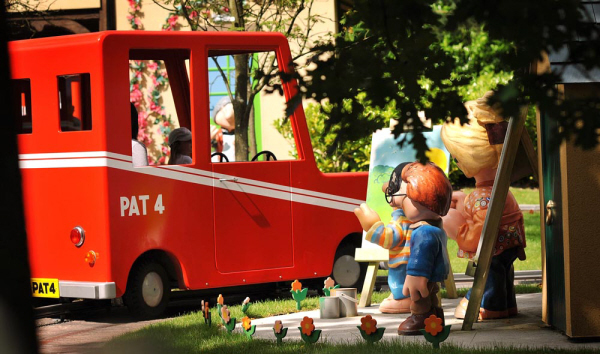 With savings of more than £20pp off standard price ticket options, you can enjoy all the rides & attractions at the park, (including Wicker Man & CBeebies Land) at a discounted price. Ticket prices vary throughout the season so worth taking a look before you book. 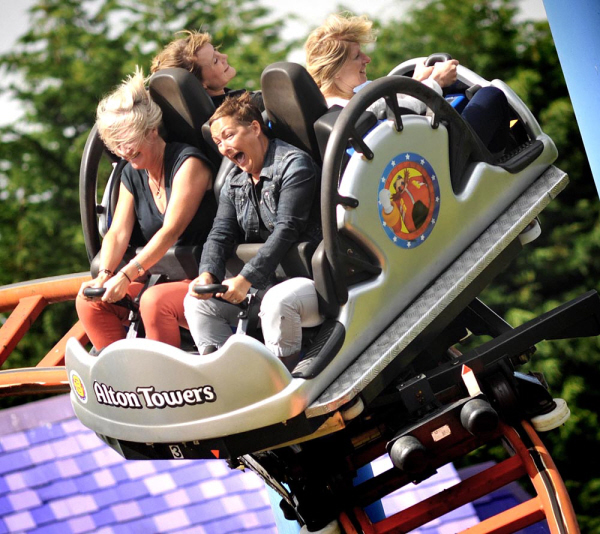 TO BOOK GO TO Alton Towers Tickets – save more than £20pp. LOOK OUT FOR OUR Alton Towers Guide; Tips To Beat The Queues packed with money saving ideas to bypass the queues at this popular visitor attraction! Look out for this popular newspaper offer that runs each year in conjunction with The Sun. Here’s your chance to pick up 2 FREE tickets to Alton Towers for those that have flexibility on when they visit as you cannot specify the date of your visit. Whilst this can be quite a complicated application process, just follow the application instructions to the letter for your chance to enjoy free entry. This promotion tends to run during March each year and we’ll bring you more details on this offer as they come in. Regular Tesco shoppers can redeem vouchers in exchange for Alton Towers entry that includes access to all the rides & attractions. This can be a great way to slash costs at Alton Towers where you can either opt for a day ticket or invest in a Merlin Annual Pass with these ‘pay in full’ deals. You can even upgrade to a Premium Merlin Pass for around an additional £50pp cash when you visit the park. Alton Towers has once more teamed up with Kellogg’s to offer 2 for 1 vouchers that are valid at this popular theme park in Staffordshire. Whilst vouchers can only be used in conjunction with FULL PRICE tickets, these vouchers can been redeemed online in advance through a special booking site. More information is available at Alton Towers – Grown Ups Go Free Vouchers. Alton Towers often teams up with 365tickets to offer special discounted tickets & promotions throughout the year. Whilst promotions change during the theme park season, it’s worth keeping an eye out for current offers running for the date of your next trip. TO BOOK TICKETS GO TO Alton Towers; Cheap Ticket Options. Consider a Thrill Hopper ticket that offers you one admission to all four of the following; Alton Towers, Drayton Manor Theme Park, Water World & Snowdome, (limited to specific activities). This is a substantial saving against the cost of four separate entries with Thrill Hopper tickets priced at £60pp or £180 for a family of 4 and a great value for money, (not valid for Alton Towers fireworks). More information available at Thrill Hopper Ticket. Alton Towers run some attractive come back ticket deals during the season that are worth looking out for. With options on either next day entry or later in the season tickets, this can offer value for money on a return trip. We’ve even come across a deal for the Alton Towers Waterpark! More details available at Come Back Tickets for Alton Towers. 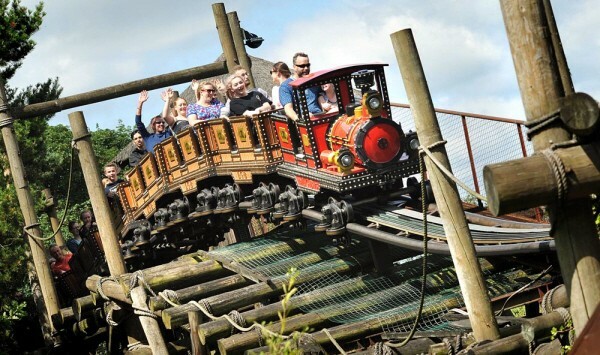 Here’s a 2 for 1 voucher for Alton Towers if you travel by train during the theme park season. Simply download the voucher & present your train tickets plus voucher on the day of your visit for discounted entry. Saying this, Alton Towers is not an easy place to get to by train as the closest main line station is Stoke on Trent, some 20 miles away but is a connecting bus services. More information available at Alton Towers; 2 for 1 Vouchers. Take advantage of this short break package that offers hotel accommodation, breakfast, Alton Towers tickets + 2 other visitor attractions from £235 per family, (up to 1-2 adults/1-3 children under 12 years). The great advantage with this offer is the flexibility it offers both in terms of accommodation & the range of attractions included within the break such as Water World, Trentham Monkey Forest, SnowDome, Shugborough, Churnet Valley Railway, Conkers & more. More details available at Alton Towers Resort Family Break. Whilst the Blue Peter badge free entry offer remains in place for 170+ visitor attractions around the UK, unfortunately Alton Towers is no longing participating in this scheme. This new policy came into effect back in 1 January 2017 and runs across the full range of Merlin Attractions. You can find out more details over at Important Changes for Blue Peter Badgeholders. If you’ve held onto a Kids Go Free voucher on promotional Vileda cleaning products, worth noting that these are only valid at Alton Towers until 29 March 2018, (during attraction operating hours). More information is available at Vileda Kids Go Free Vouchers; Alton Towers, Sea Life, Legoland Discovery Centre. Look out for NEW wooden coaster opening at Alton Towers in 2018 The Wicker Man complete with a 57.5ft, (17.5m) flaming structure! 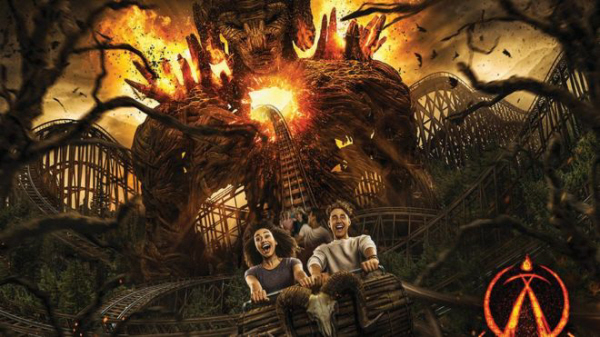 Claiming a world’s first by combining wood and fire within a coaster, this £16 million ride is likely to be popular with theme park visitors this year. Whilst not strictly a new development we do still rate the Rollercoaster Restaurant that delivers your food via miniature coaster track. Early Ride Time; find out how you can enjoy the rides at the park before they open to the public each day! Single Rider Queues; take up available space in ride carriages and bypass the standard queues. Fastrack Tickets; invest in a solo fastrack or select fastrack packages to get a few of the popular rides under your belt. Find out more tips & tricks within our Alton Towers Guide packed with money saving ideas to help you get the best from your visit. This entry was posted on Saturday, November 3rd, 2018 at 6:34 am	and is filed under . You can follow any responses to this entry through the RSS 2.0 feed. You can leave a response, or trackback from your own site. I have a 2 for 1 voucher, i’m staying at Alton towers for 2 days can i use the other on the 2nd day?? Hello, I have a 2 for 1 voucher for the Screamfest 2017 on Tuesday 31st October. Do you have to purchase the full price ticket to use this voucher or can this be used for the 3 maze entry ticket also? Hi Jessica, I’m not sure which 2 for 1 voucher you have for Alton Towers Scarefest but generally all 2 for 1 vouchers require you to be accompanied by a full price paying person purchasing the on-the-gate price ticket. Once you have paid for entry to Alton Towers, there are additional charges in place for the horror mazes. Unfortunately your 2 for 1 voucher will not be valid for the maze charges. Can I pick up early ride time at Alton Towers with a 2 for 1 voucher? Hi John, unfortunately early ride time at Alton Towers is not available to guests using 2 for 1 vouchers to gain entry to the park:(. Early ride time is a valuable resource as it offers you early access to the park up to 1 hour before the park opens to the public. With selected rides & attractions open each day at the park, this is a great way to get ahead of the queues so worth considering other options that do come with Early Ride Time that includes tickets purchased online at Alton Towers & Merlin Passes. Hi Sheena, is this the newspaper application form for the free tickets offer to Alton Towers? You can currently download the form online over at The Sun Superdays if that helps? Hi, Are the Cadbury 2 for 1 vouchers valid for the firework display on 5th November at Alton Towers? Hi can I use 2 for 1 Cadbury offer at alton towers on 27.10.2016 please? Hi Ryan, yes the Cadbury 2 for 1 vouchers are valid at Alton Tower’s during Scarefest. As all 2 for 1 vouchers are subject to capacity limitations at the park, on busy days it is best to get there early to ensure entry. Hi Sop, is it Thorpe Park Fright Nights or Scarefest at Alton Towers your query was directed towards, I wasn’t sure? The terms & conditions state that Blue Peter Badges cannot be used to gain entry at Thorpe Park from 21-31 October 2016 but there are no such tipulations in place at Alton Towers. Worth noting Blue Peter badge holders must be accompanied by a ticket-bearing adult and subject to capacity at the park on the day of your visit, (you must present a valid badge and badge winner’s card). Can I use the Kellogg’s Adult goes free offer at the Alton Towers water park only? Hi Barbara, unfortunately you cannot use the Kellogg’s voucher at Alton Towers Waterpark as they are only valid at the theme park. how do I book a hotel stay only, as we already have annual passes? Hi Denise, there are special discounted rates available for Passholders opting to stay overnight at the Alton Towers Resort. There used to be a Passholders area on the website for those looking to stay over but I’ve also had trouble locating this. It might be easier to contact Alton Towers by phone to make your booking. I’m stopping in the hotel on Saturday 6th June, can I use tickets from my tesco clubcard to make use of early ride time on Sunday? Hi Maxine, Alton Towers state that early ride time is ‘only available for guests who have pre booked Theme Park tickets as a part of their accommodation package.’ Worth double checking with Alton Towers if in doubt. Can I use my 2for 1 on bank holiday Monday 25th may? Hi Mel, each 2 for 1 has slightly differing terms & conditions – which 2 for 1 do you have & which attraction are you looking to visit? I have two £24 off vouchers. Can I use them both at the same time when I get to Alton towers? Hi Sam, are these the Procter & Gamble £24 off entry vouchers for Alton Towers that is valid until 1 June 2015? In the terms & conditions it states ‘Only one voucher can be used per person and per transaction.’ However, if need be just do 2 separate transactions. They were from lenor bottles. So just two separate transactions should be ok? Yes, that’s the Procter & Gamble offer. Hi, We are planning to come to Alton Towers in June and wondered whether you are still running the offer where you can upgrade your day ticket to an annual pass once in the park? We did this a couple of years ago and it was a great deal. Hi Maxine, I have contacted Alton Towers who have confirmed that this offer is still running at the park. You will need to retain your entrance tickets and take them with you to the resort box office once in the park. If you upgrade to an annual pass, they will deduct the entrance charges from your annual pass upgrade. Me and my partner have sun free tickets for Alton towers. Would we be able to use these for ourselves and pay for a child to get in with us? We have a family ticket for alton. Free from sun . Will buy another buy one get 1 free ticket for the other 2 children. ….. but …. Once in park. … can i buy the 10 pound return tomorrow ticket each ? Even for those who had the free ticket ? … if so will get a hotel…..
Hi Claire, you cannot combine the 2 for 1 voucher with any other offer to gain entry to Alton Towers on the first day, (eg tickets purchased online etc). However, once you are in the park, keep hold of your entrance tickets and you can purchase come back tickets for another day BEFORE you leave the park on the initial day. What about a child ( 6 years old), could I use a free ticket from the Sun for him or is it only for adults? Hi, I am going on sat 8th nov with my wife, 8 year old and 1 year old children. We have a £24 off voucher from daz which I was wondering if it would work on that date thanks! Hi Kate, the only way to be certain is to order, (for free) a 2 for 1 voucher for Alton Towers and then print it off as the full terms & conditions are then printed on the actual voucher. Hi I am planning on going to fright night at Alton Towers on the 29th of October 2014 is there any 2 for 1 vouchers that are valid for this date? Hi Paul, Kelloggs Grown Ups Go Free Vouchers & Walkers Half Price vouchers are valid during the Scarefest period at Alton Towers. Alternatively, you can also pick up a 2 for 1 voucher in The Sun, (running each day until 17 October), that is also valid during Alton Towers Scarefest. Hi, I purchased 3 return tickets in may for £15 each and im going in October for scarefest when Im there can I also buy the cheap next day return tickets? Hi Peter, I like your thinking! This query came up with someone else a couple of months ago and I have to say, I’m not sure….not very helpful I know:( As you know, the comeback ticket offer is only available from within the park when you present your original admission tickets at the Box Office…if your ticket is simply a standard ticket, when who is to know but I’m not sure if there are any restriction on a further come back ticket. If you could feedback if it works, be great to pass this on to others. Hi,are there any date restrictions on the adults go free vouchers. i have a £24 off voucher for Alton Towers, I am wanting to take my 2 year old t Cbeebies land but obviously he will be free – can i only redeem the voucher with 1 paying adult/child? I have a free adult entry voucher when accompanied by a full paying child. In addition I have a forty pound voucher from nectar. If I am taking two children, can I pay full price for one child to activate the free adult voucher … And use the nectar voucher to pay for the other child? Hi Steven, I like your thinking although within the full terms & conditions, (I’m assuming the Kelloggs Grown Ups Go Free voucher?) it does state that ‘ The voucher is not valid for use in conjunction with any other offer or concession.’ However you could take the nectar voucher, (& perhaps have a half price voucher say from a promotional single packet of Walkers Crisps) to see if the ticket staff will allow a second transaction with a further concession? Hi Susan, this fairy soap powder promotion offers one half price adult entry, (an adult is classed as 12 years and over), so £24 to pay at the gate at Alton Towers. Hi, I have a 2 for 1 voucher which says it is not valid for 9th & 10th of November, along with the other usual restrictions of special events etc. We are planning on going to the fireworks display on the 8th November, do you think we will be able to use the voucher? Tracey…not an easy one to answer. Generally 2 for 1 vouchers exclude special events such as firework nights, concerts etc. Whilst your 2 for 1 voucher doesn’t specifically exclude the 8 November, it could be excluded under the ‘special events’ terms & conditions. Perhaps best to secure firm clarification from Alton Towers directly with this query to avoid disappointment. Hi, i have got a free adult entry voucher for alton tower, so in order to use the voucher does my friend need to buy full adult ticket on the same day or we can pre purchase the ticket. Hi Messer, unfortunately you cannot use a 2 for 1 voucher with tickets already purchased online. A 2 for 1 voucher for Alton Towers can only be used when accompanied by a person, (often an adult), that has purchased a full price ticket on the day of their visit at the ticket booth. This is because 2 for 1 vouchers stipulate that they cannot be used in conjunction with any other offer or concession & online tickets include a discount already. Daniel, Each voucher offers the 1 person free entry, (the lower paid person) when accompanied by a full paying adult. These vouchers usually work on a one voucher per person per transaction basis. So you will need to split into two’s at the Alton Towers ticket kiosk and ensure you have enough vouchers for the size of your party. Joely, the promotional packs of McVities car bars, state that the 2 for 1 Alton Towers vouchers are valid from 1 Sept 2012 – 30 April 2013 excluding 2-4 November 2012, park closures & concerts…so fine for Alton Towers Scarefest. Can I use 2 for 1 O2 priority moments code during scarefest? It just says it’s valid til 31st October. Emily, the terms & conditions for the 2 for 1 Alton Towers voucher for O2 priority moments stipulates that you can “Use the offer between 23/05/12 – 31/10/12, excludes any special events/hotel events/concerts’. Special events in Merlin 2 for 1 vouchers usually relates to corporate events & concerts etc rather than Scarefest. Katie, each 2 for 1 voucher for Alton Towers should have a ‘valid to’ date on the terms & conditions plus any exclusion dates that apply. If your 2 for 1 voucher is valid during the Scarefest period, (don’t worry about ‘special events’ exclusions as this relates to concerts, corporate dates etc), this should be fine. My daughter is planning to go to Scarefest at Alton towers with friends, I have a ticket which I got with Tesco points, can I use a tesco alton towers voucher for scarefest? Kerry, the terms & conditions of the Tesco clubcard vouchers for Alton Towers state ‘Reward Tokens are valid for six months from the date the Token was issued (inclusive). See Rewards Token for validity dates’so worth checking on the reward token for any exclusion dates.’ I know in previous years, the rewards vouchers have been valid for scarefest but worth double checking on the token to be sure. Hi Theresa, I like your thinking but unfortunately you cannot use the two promotions together…a 2 for 1 voucher for Alton Towers cannot be used in conjunction with any other offer or promotion. Sorry was meant to say I’m going to Alton towers and vouchers are from tescos. Nicola, Tesco have issued a number of 2 for 1 vouchers for Merlin attractions/Alton Towers so best to read the small print on the back of the voucher that stipulates any exclusion dates at Alton Towers. Generally speaking, 2 for 1’s for Alton Towers tend to exclude special events/concerts, fireworks, (November) & part of scarefest, (October) but fine for bank holidays….best to just check the fine print though to avoid any disappointment. Hi – Can I pick up a come back ticket at Alton Towers if I use a 2 for 1 voucher for the first day? Hi Alik, yes you can indeed use a 2 for 1 voucher to gain entry to Alton Towers and then make use of the come back ticket for a subsequent day at the park. The only condition is that come back tickets must be bought from inside Alton Towers on the day of the initial visit. The are two different come back tickets…one for the next day, (priced at £9 per person) or one for later inthe season, (priced at £15 per person). Hi there – where is the best place to pick up a 2 for 1 voucher for Alton Towers? Tom, if you can get to a Tesco store, then check out the 200 tesco branded items that all have a 2 for 1 voucher for Alton Towers within….easy to spot which items as the 2 for 1 voucher will be advertised on the front of each branded item. Alternatively, pick up a promotional Fox’s Rocky Bar that are running a 2 for 1 voucher for Alton Towers. How can I pick up a deal at Alton Tower plus Early Ride Time? There are currently three ways to pick up Early Ride Time at Alton Towers; stay at the hotel, book tickets online or use an Annual Pass, (Theme Park, Merlin or Merlin Premium Annual Pass). The cheapest option would be to book tickets online with Alton Towers & they are currently running a deal that offers a 40% discount if you book 7 days or more in advance. If you are planning to visit other Merlin Attractions during the year, you may wish to consider investing in a Merlin Pass that offers Early ride Time too…always worth checking out Merlin Pass deals if you are looking to go down this route. Plenty of great deals for Alton Towers & interested in the Thrill Hopper. How does this deal work? A Thrill Hopper ticket is a combined discounted ticket that offers you entry to all four visitor attractions in Staffordshire, (Alton Towers, Drayton Manor, Water World & Snow Dome) & can be used throughout the year, (some restrictions on use). The price of the Thrill Hopper ticket is all you pay for the season and offers great value for money. Hi, can some one please let me know- Me and my boyfriend are going to alton towers in a couple of weeks and we have a 2 for 1 voucher, if we buy two fast track tickets can we use these with a 2 for 1 entry? To make use of the 2 for 1 voucher, you will need to purchase entrance tickets on the day and present your 2 for 1…you cannot purchase tickets online with a 2 for 1. You can purchase fastrack tickets at Alton Towers on the day, (providing they haven’t sold out but shouldn’t be a problem at Alton Towers) but you will not get any discounts or 2 for 1’s on fastrack tickets unfortunately. Calling all ‘Sun’ free ‘Alton Towers’ ticket holders? Can anyone swap the 2 adult free tix, dated 12/6/12 pls? Stupid me,my son has exam that day! Not a good idea trying to swap free Alton Towers tickets as this does goes against the terms & conditions of the offer and thus invalidates the ticket. if you use a 2 4 1 voucher can you still get in for £9 the next day? Hi Charnie, the address is Sun/Alton Towers offer, PO Box 5, Colchester, CO2 8GE. Applications must be received by 22 March 2012. Where can i get some 2 for 1 tickets? 2 for 1 vouchers for the 2012 season tend to start coming out around March time. The Kellogg’s 2 for 1 vouchers remain valid until June 2012 if you have managed to pick those up at all. Another option is the half price Merlin Pass sale that is currently running. I’v got buy one get one free tickets from the sun can i use these for scare fest?? Hi are the promotions still going on eg kellogs, vanish etc? I went and had a look yesterday but couldn’t find any in tesco express? Perhaps worth shopping around as it is only on promotional packets. I know someone who picked up a Fox’s biscuits 2 for 1 voucher last week so worth keeping an eye out for that too. We bought come back tickets when in Alton Towers but can’t see a date on them when they run out. Can’t find it on website. Does anyone know when these are valid till – I hope Oct 30th but not sure!! There are two different come back tickets that run through the season; the first offers a return trip for the following day for £10.20 an adult & £6 a child or the second allows you to come back later in the season for £15 an adult & £10.80 a child. It will depend which ticket you have purchased as to whether you can use this come back deal. There should also be a date on the come back ticket indicating when this ticket is valid until. Plenty of options for 2 for 1 vouchers for Alton Towers; why not try promotional packs of Kelloggs cereal or Vanish products that have vouchers for many of the Merlin attractions around the UK. Hi am going to Alton Towers mid October – does anyone know if these deals above (Kelloggs, Fanta, KP) are still on packets? Does anyone know of any other promotions? thanks this is great…love it ! Thanks for the feedback; always good to know that others are searching for deals for Alton Towers too! Heyy, i’m going to alton towers next week, does anyone know where I can get a 2 for 1 voucher from? An ‘adult’ at Alton Towers is deemed anyone over the age of 12, so you’ll need to purchase 4 adult tickets. Your best bet would be 2 for 1 vouchers that are available on promotional packets of Kellogg’s cerials or Fanta or half price vouchers that are available on promotional packets of KP nuts & crisps. You will need to purchase 2 full price tickets from the ticket booths on the day and receive 2 free entries. If does state on the vouchers only 1 voucher per person per transaction…so you may need to split into two’s at the booths. I think your best bet will be a 2 for 1 voucher for Alton Towers and paying for a full price child’s ticket at the ticket booths on the day. With a 2 for 1 voucher, you must purchase a full priced adult ticket from the ticket booths on the day or your visit; this will allow the second adult free entry to the park. Unfortunately, you cannot puchase an online childrens ticket & take advantage of the online discount available – so if you use a 2 for 1 voucher, you will need to purchase a full price child’s ticket on the day too. Your other option is to redeem Tesco vouchers for a Tesco rewards token for your child, (£13 in tesco vouchers), but I don’t think you will have time for this if you are planning to go in the next couple of weeks. Great tip if you have any younger children when you visit Alton Towers. You can all queue up then any riders go on the ride, when they exit they can ask for a parent swap ticket and the other parent/carer who had to wait with the younger child can go on without queing, the same as fast track. Someone with you can also go back on. Got our 2 for 1’s at the Co-op. Thanks for the tip about parent swap tickets for Alton Towers; this is a great way to beat the queues for those with younger children. Hi, pick up a promotional packet of Kelloggs cereal, KP crisps or nuts, Vanish product or can of Fanta that all come with a 2 for 1 voucher for Alton Towers. If you can visit Monday to Thursday during June, Alton Towers online can offer a good reduced price ticket that includes early ride time as well – unfortunately, this is not available on a Friday. Hope this helps. A great way to pick up a deal for Alton Towers. You got in just in time as the Burger King deals finished on 31 May. However there are plenty of other 2 for 1 vouchers for Alton Towers floating around! Any other 2 for 1 vouchers i can get for theme park? There are plenty of 2 for 1 vouchers for Alton Towers available, so whatever you do make sure you don’t pay full price for a day at Alton Towers. We also list 2 for 1 vouchers for Thorpe Park, Legoland, Chessington World of Adventure, Drayton Manor and other top visitor attractions as the deals come in. if i buy a ticket online for alton towers can i use my 2for1 voucher from cokezone for me and my friend when we get to the gate at the resort.? As with most of these 2 for 1 vouchers for Alton Towers, vouchers only entitle the holder to one FREE ENTRY per voucher and per full paying adult. As online tickets for Alton Towers are discounted, this would not be valid with your cokezone 2 for 1 voucher. You will need to take the voucher to the ticket booth on the day of your visit and purchase a full price ticket. Hi, Im going to Alton Towers with a group of 14 people end of May. What would you suggest would be the best deal/ cheapest deal? Thanks. However you may find it more cost effective to collect the 2 for 1 vouchers and split into twos at the ticket kiosks, (usually these 2 for 1 vouchers only allow 1 voucher per transaction). Can anyone help with this one – looking for vouchers for Gulliver’s World? oh pleeeeeaaaaaaaaase i really want a voucher send me 1 can you print a voucher out???? Thanks for getting in touch about 2 for 1 vouchers for Alton Towers. There are plenty of ways to secure a 2 for 1 voucher – try the link to Alton Towers online that offers a 2 for 1 voucher that includes Early Ride Time. Alternatively moneysupermarket offer a free child voucher that you can also download online until 15 May 2011. Generally an ‘adult’ at Merlin attractions is deemed as someone over the age of 12 years. Worth checking the small print on your 2 for 1 voucher or contacting the Merlin attraction you wish to visit before you go to avoid any difficulty. Hi, does anyone know of any places to get 2-4-1 vouchers for Alton towers at the moment. Thinking of going on the 5th of April and can’t seem to find any. Please help? Try buying a box of Kellogg’s Frosties, Cornflakes or Rice Krispies as promotional packs are carrying a 2 for 1 voucher for Alton Towers. are WHSMITHS currently sell the 2-1 offers??? I have no official date for when these 2 for 1 vouchers for Alton Towers, Thorpe Park, Chessington etc will no longer be distributed from WH Smiths. They were still issuing them last week, so if you are out it’s worth just popping in to see if they are currently still available. Alternatively, pick up a promotional pack of Kellogg’s Cornflakes, Rice Krispies or Frosties that carry a 2 for 1 voucher on the side of the packet. We’re thinking of going to Alton Towers in the next few days. When is it open? These 2 for 1 offers are great – thanks! There are plenty of 2 for 1 vouchers for Alton Towers available at the moment, so a good time to go! Alton Towers opens on Saturday 26 March 2011 for the main season. As the opening times change depending upon the day you visit, it’s worth checking on the Alton Towers website for specific opening times. Enjoy your day at Alton Towers! Follow our guide to cheap tickets for Alton Towers Waterpark.